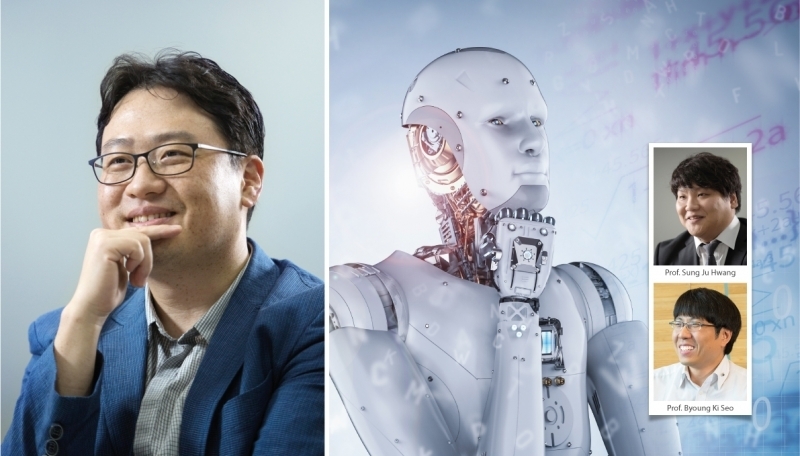 Professor Jaesik Choi leads the National Artificial Intelligence R&D strategic project. The team has secured KRW 1.5 billion for the next 5 years, along with KRW 400 million from the city of Ulsan. Decision-making is one of the fundamental cognitive processes of human beings, which involves making rational, heuristic, or intuitive choices in activities of daily living. UNIST has recently announced that it has been selected as a supervisory institution to embark on the development of the “Next-generation AI Technology (Next-generation Learning·Sequencing)”, as part of the National Artificial Intelligence (AI) Strategic Project. This project has been led by Professor Jaesik Choi in the School of Electrical and Computer Engineering at UNIST in collaboration with the Severance Hospital of the Yonsei University Health System, KAIST, Korea university, and AItrics Co. Ltd. Professor Sung Ju Hwang in the School of Electrical and Computer Engineering and Professor Byoung Ki Seo in the School of Business Administartion will also partake in this project. Organized by the Ministry of Science and ICT, the project aims to understand human decision making, using Artificial Intelligence (AI). The research team has secured a total of KRW 15 billion from the Korean government for up to 5 years. They expect that this will be a major step forward in applying AI in specialized fields, such as clinical diagnosis and financial transactions, that are in need of greater transparency. Although advances in AI have shown significant promise in assisting and improving human decision making, the existing AI system has been unsuccessful in explaining how they arrive at their decisions. Therefore, the successful application of AI in areas, such as stock price predictions, military operations, and clinical diagnosis where reliability is an important aspect to consider have been hindered significantly. With the use of such advanced AI, doctors can soon be able to diagnose many diseases by analyzing a patient’s medical records, including brain imaging and biometric data. Indeed, this will enable the early diagnosis of pancreatic cancer, as well as the Alzheimer’s disease. Moreover, one can also apply AI in stock trading to predict stock price movements, as well as to purchase natural resources. As next-generation AI technology by UNIST is created, the city of Ulsan will also benefit greatly from it. This is because by securing the underlying AI technology, the city can establish the industrial base for the related technologies. For instance, by analyzing and predicting the raw material price fluctuation, it can help ensure competitive price for the Ulsan-based companies, such as Hyundai Heavy Industries and SK Energy that deal with the importation of raw materials. This will contribute significantly to the successful implementation of the Northeast Asia Oil Hub Project and the Biomedical Promoting Project that the city has been promoting. Artificial Intelligence (AI) is one of the nine other National R&D Projects, addressed at the 2016 Science and Technology Strategy Meeting by the Ministry of Science, Technology and ICT in preparation for the Fourth Industrial Revolution. Others include Self-driving cars, Lightweight materials, Smart city, Virtual·Augmented Reality, Precision medicine, Bio-drugs, Carbon capture & utilization, and Fine dust. New mm-wave signal generating cir..
All NEEDs Lab’s papers received..